As per IQVIA data, Bimatoprost Ophthalmic Solution, 0.03% have an estimated market size of $10mn for twelve months ending December 2018. Alembic Pharma, in its filing to the exchanges on Monday, informed that the company received US Food & Drug Administration (USFDA) Approval for Bimatoprost Ophthalmic Solution, 0.03%. The approved ANDA is therapeutically equivalent to the reference listed drug (RLD), Lumigan, 0.03% of Allergan Sales, LLC (Allergan). Bimatoprost Ophthalmic Solution, 0.03%, the company said in a press note. The drug is indicated for the reduction of elevated intraocular pressure in patients with open-angle glaucoma or ocular hypertension. 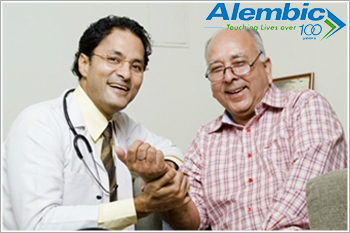 With this, Alembic now has a total of 90 ANDA approvals (78 final approvals and 12 tentative approvals) from USFDA. Alembic Pharmaceuticals Ltd's share price is currently at Rs535, down by Rs0.9 or 0.17%, from its previous close of Rs535.90 on the BSE. The scrip opened at Rs535 and has touched a high and low of Rs535 and Rs535, respectively. So far, 3,281 (NSE+BSE) shares have been traded on the counter. The current market cap of the company is Rs10,101.72cr.